It doesn’t take long to realize there’s something special about Fredericksburg. For a small Texas Hill Country town, its attractions are numerous and noteworthy. Visitors have long been attracted to the area due to its picturesque scenery, deep historical roots, outdoor recreation opportunities, eclectic shops, colorful cultural vibe, great food and prolific wine scene. And then, there’s the people. You won’t find friendlier or more hospitable folks who truly “walk the talk” when it comes to putting out the Willkommen mat to their town. They’ve even named all of the streets crossing Main to the east so that their first letters spell out “All Welcome,” while those to the west spell out, “Come Back.” Once you’ve experienced Fredericksburg, it’s easy to understand why visitors return year after year, never tiring of the town’s sweet charm and ambiance. I fell hard for this Texas burg, as it cast its spell on me from the start. Being a history buff, I was immediately enamored with the town’s past. 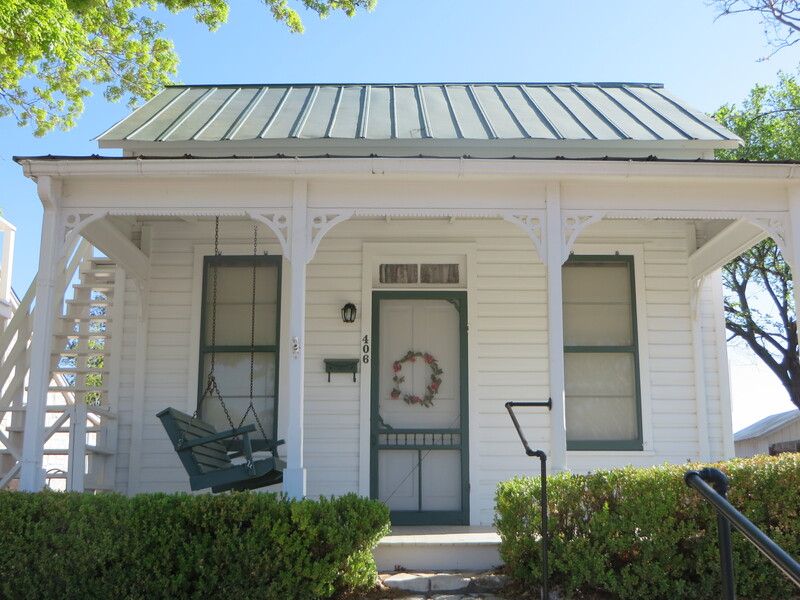 Fredericksburg, which was named after Prince Frederick of Prussia, was founded in 1846 by 120 German immigrants who made the long and dangerous journey from Germany to Central Texas in search of a better life for themselves and their children. They were determined to create a new home in a new world, one that was free of religious and political oppression. 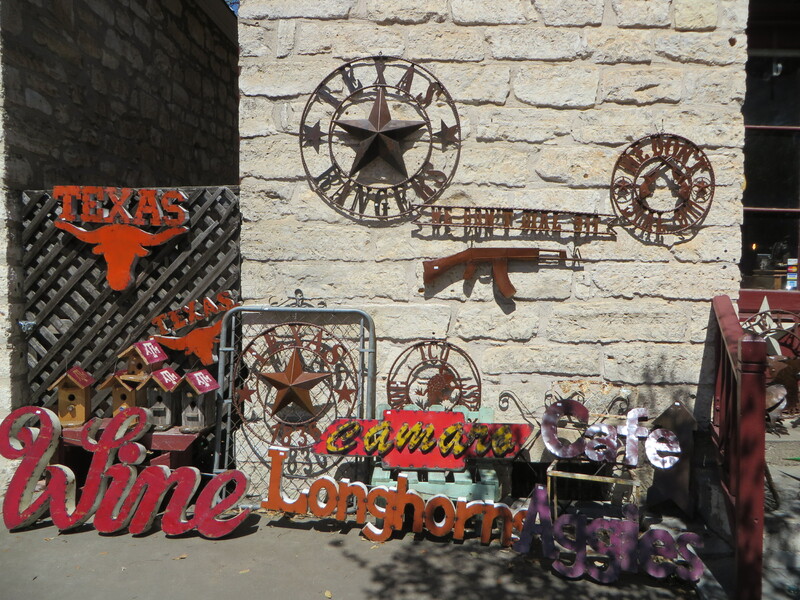 Among its many distinctions, Fredericksburg is the home of Texas German, a dialect spoken by the first generations of German settlers who initially refused to learn English. During the early years, some 5,000 colonists from Germany landed at the Texas port of Indianola. Many never made it to their final destination due to sickness and lack of food. Those that arrived suffered innumerable hardships and their future was anything but certain. In time, however, the colony began to prosper. 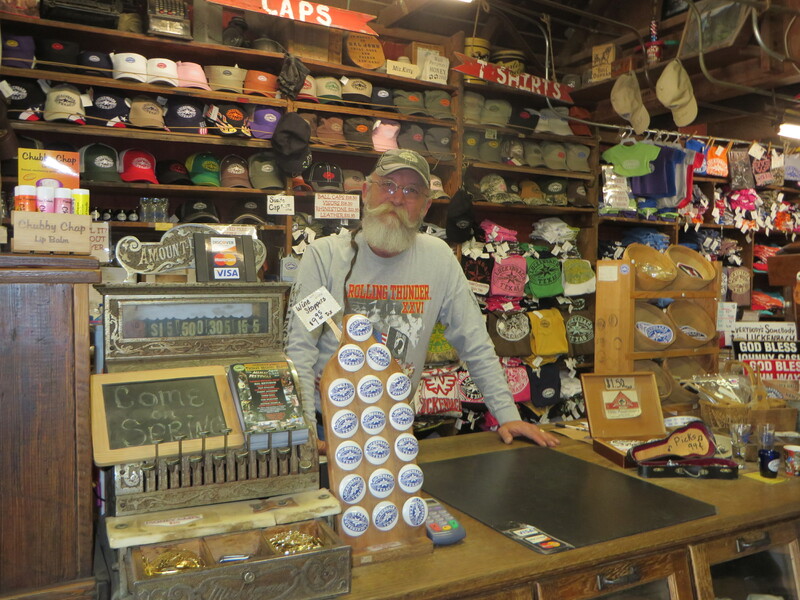 Today, Fredericksburg is a thriving mecca where the people continue to celebrate their unique community, while striving to preserve the culture and values that sustained them over the years. History is alive and well in this town, with its century-old native limestone homes and stone commercial buildings that line the streets. There are over 700 historically significant structures, ranging from log cabins to rock homes and craftsmen cottages. Of particular note are the quaint Sunday Houses, which were built by the German settlers who lived in distant rural areas. They used these homes on the weekends when they came to town to trade or attend church. A typical Sunday House had one room with a lean-to kitchen and a half story above, which was reached by outside stairs or ladder. In the heart of town is the Marktplatz, the hub of festival activity in the community. 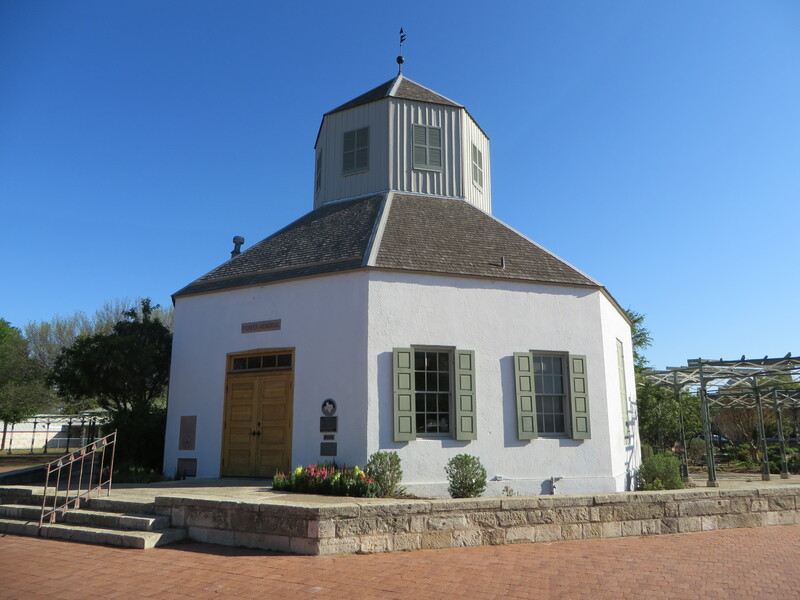 At its center is the Vereins Kirche Museum, which stands as a tribute to the courage and vision of Fredericksburg’s founders. It was the first public building and served as a church, schoolhouse and town hall, and although the original was demolished in 1896, a new structure was later erected at the site. The museum is a much-loved symbol of German heritage and contains exhibits that introduce visitors to the stories of Fredericksburg’s beginnings. Also of interest is the Fredericksburg Maibaum, a German Maypole that is used as a framework for symbols of a village’s history. 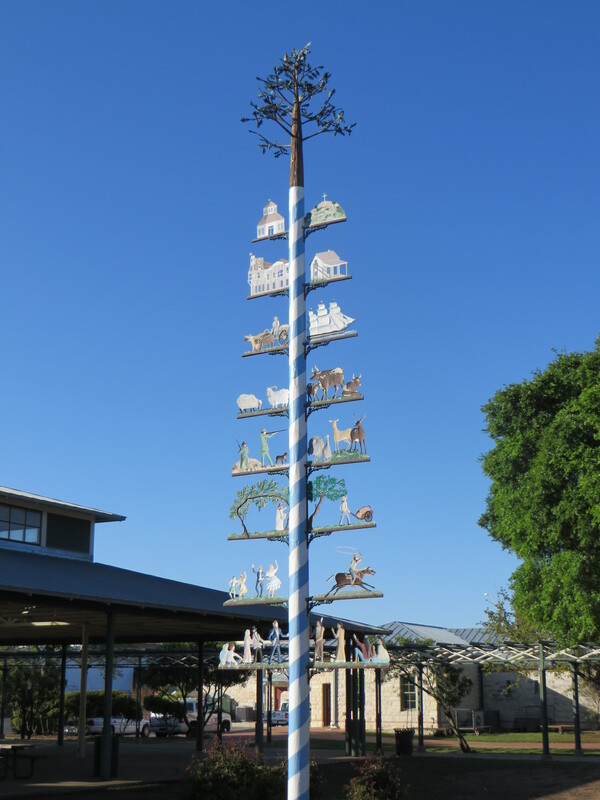 On it are symbols of the town’s significant events such as the arrival of the pioneers via ship and oxcart and the peace negotiations between the Comanche and German settlers. There are also pictures of the various animals and agricultural crops that contribute so abundantly to the local economy. Nearby is the Pioneer Museum, a “portal to the past,” that transports visitors to a time when the German settlers struggled to survive and preserve their German way of life. Various original structures including a Sunday House, one-room school, bathhouse, barn, smokehouse, log cabin and volunteer fire department are open to tour. Some of the buildings are outfitted with audio kiosks that provide information and stories about the artifacts and way of life, often told from the point of view of a descendant of the family that owned the property. Fredericksburg is also home to the world-class National Museum of the Pacific War, which is the most comprehensive museum dedicated to this significant historical event. It honors the millions of Americans who helped to defeat the greatest threat to freedom and democracy of the 20th Century. The museum is located in Fredericksburg because it is the hometown of Chester A. Nimitz, the Commander-in-Chief of the Pacific during WWII. Spread across more than six acres, the complex has over 50,000 square feet of indoor exhibit space that includes interactive exhibits, state-of-the-art media and an extraordinary array of unique artifacts. There are seven components of the museum. In the George H.W. Bush Gallery, visitors learn the story of the Pacific War beginning with Japan’s growing power and international ambitions, continuing on to the Japanese attack on Pearl Harbor and the subsequent battles across the islands of the Pacific, and finally ending with Japan’s official surrender. Among the artifacts in this gallery is one of five Japanese two-man subs that took part in the attack on Pearl Harbor, along with a Fat Man casing – the casing of an atomic bomb, identical to the weapon dropped on Nagasaki on August 9, 1945. At the adjacent Admiral Nimitz Museum in the restored Nimitz Hotel, which Chester Nimitz’s grandfather once operated, the focus is two-fold. The first section of the museum details the early German influence in Fredericksburg and the Nimitz family, while the second area presents the career of Fleet Admiral Chester W. Nimitz. Outside stands a commemorative eight-foot bronze statue of this distinguished man. The museum’s Pacific Combat Zone offers tours of a Pacific Island battlefield and spectacular artifacts including a restored PT boat used in WWII and a MASH unit facility. The Combat Zone is also home to the museum’s popular Living History Programs, which provide reenactments of the battle for an island in the Pacific during WWII, complete with real weaponry. Ten monuments honoring those U.S. Presidents who served during WWII are featured at the Plaza of the Presidents. In the Memorial Courtyard, more than 2,000 plaques and brick pavers line the walls and walkways to honor military units, ships and service members, as well as individual veterans of WWII and those who served on the Home Front in various civilian efforts. The adjoining Japanese Garden of Peace is a place of serenity and contemplation given to the museum as a gift from the people of Japan. It symbolizes world peace through the good will of the two nations. If you crave more history, head to the Lyndon B. Johnson National Historical Park in nearby Stonewall, where you can get an up-close look at the LBJ Ranch, along with the presidential residence dubbed the “Texas White House,” the presidential hangar with its Air Force One aircraft, and the president’s collection of classic cars. 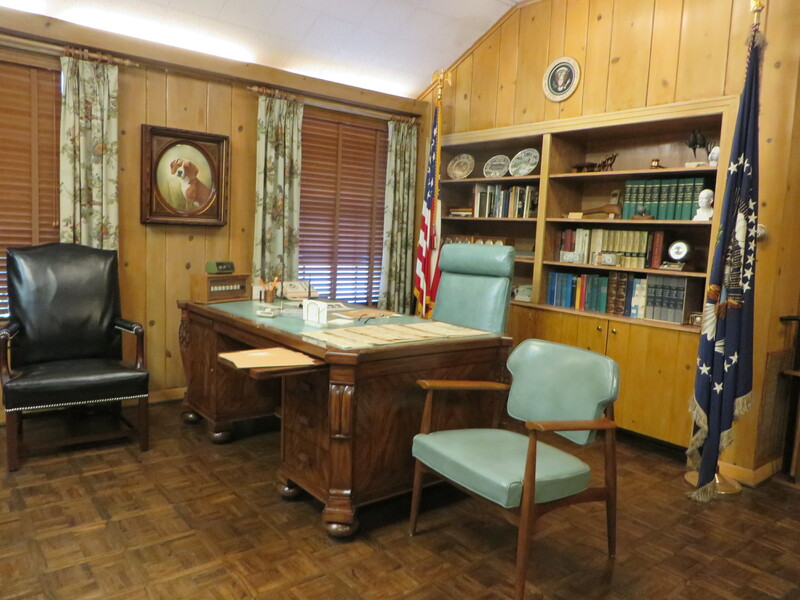 The first floor rooms of the Texas White House have been restored to the way they looked during LBJ’s presidency. Notice the proliferation of telephones that exist around the house, even in the bathroom and under the dining room table. LBJ had to be in arm’s reach of communication at all times and that also included having a trio of T.V.s lined up in various rooms, each set to one of the three existing networks. Johnson’s clothes, as well as those of Lady Bird, hang in their bedroom closets and photos of family members and friends line the walls. Your driving tour will take you to the president’s reconstructed birthplace, the Johnson family cemetery where Lady Bird is laid to rest alongside her husband and Junction School, where Johnson began his formal education at the age of four and then returned as president in 1965 to sign the landmark Elementary and Secondary Education Act. The ranch, birthplace, cemetery and school are companion attractions to the Lyndon B. Johnson State Park and Historic Site, which is famous for its seasonal wildflowers and outdoor recreational amenities, as well as the Sauer-Beckmann Living History Farm. 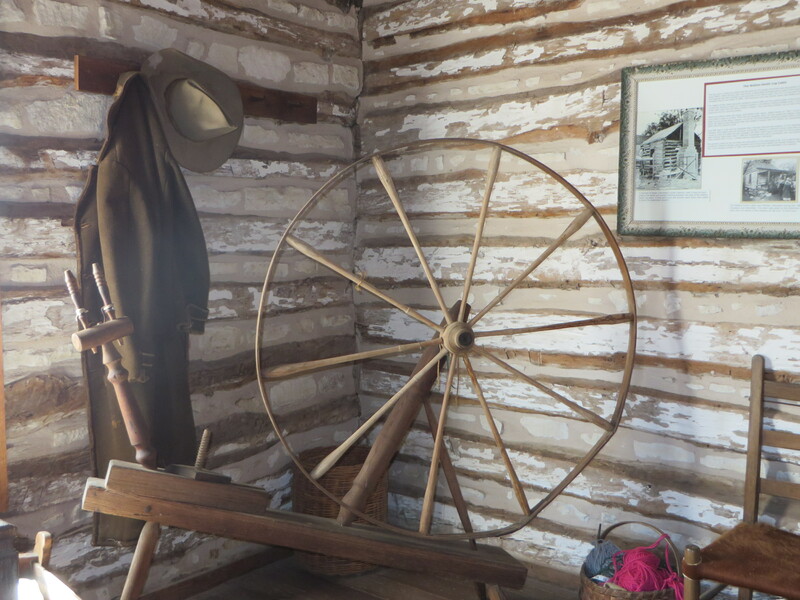 The farm is an authentic working farm, where park interpreters dress in period costumes and demonstrate the lifestyles of a typical Hill Country farm circa 1915. 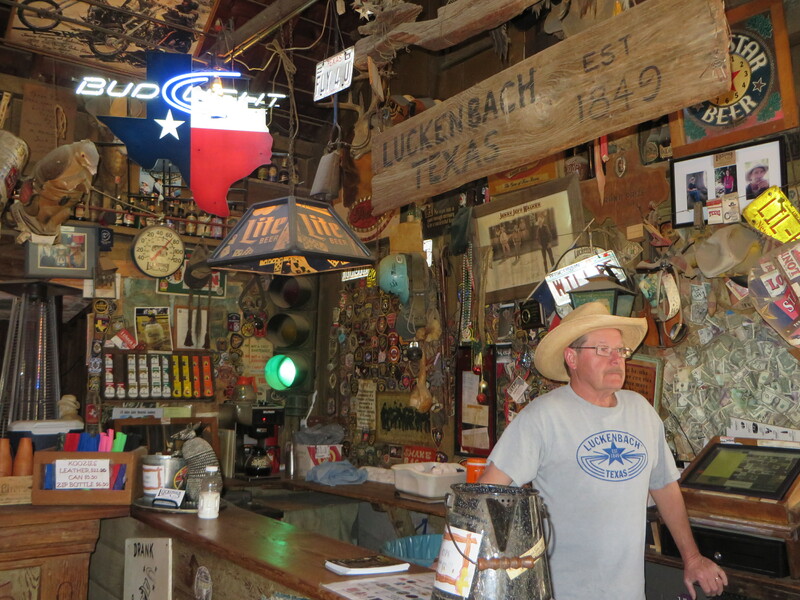 For another opportunity to walk back in time, head to neighboring Luckenbach, the town made famous by the 1977 hit song, “Luckenbach Texas,” sung by Waylon Jennings and Willie Nelson. Established as a trading post in 1849, this little hamlet is one of the oldest settlements in the county and consists of a dancehall, general store/post office and bar. Over the years, it has enjoyed continued notoriety for its free spirit, quirky ambiance and legacy of great music. Most days, you’ll find folks sitting out in the back drinking a cold one and listening to an assortment of musicians strum, fiddle and sing under the old oak tree. And on weekends, the dance hall is the place to be. If history’s not your thing, rest assured there’s a host of other options to explore in Fredericksburg. 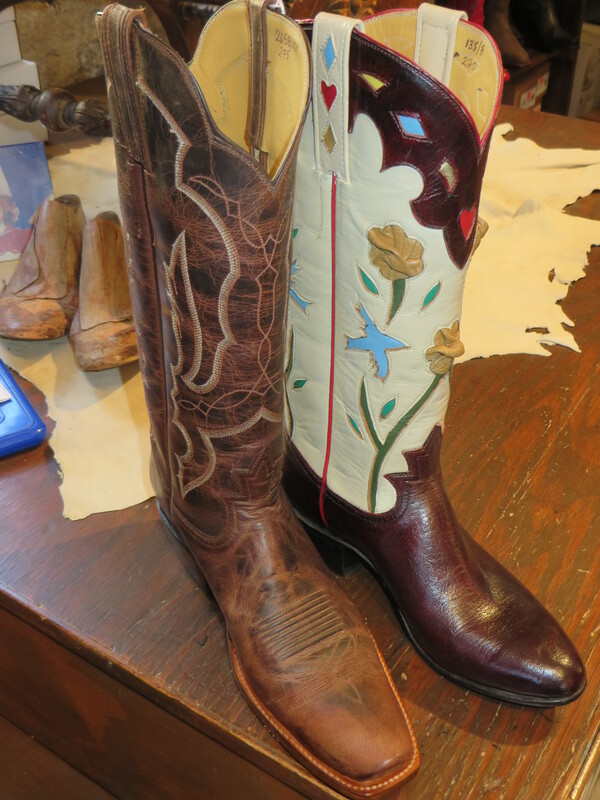 With over 150 stores and boutiques, choices abound for shoppers on the hunt for antiques, unique clothing, custom made cowboy boots, innovative interior décor items, handmade crafts and more. When you’ve shopped till you drop, know that you’ll be able to get sustenance at one of the many restaurants, cafes and watering holes in town. 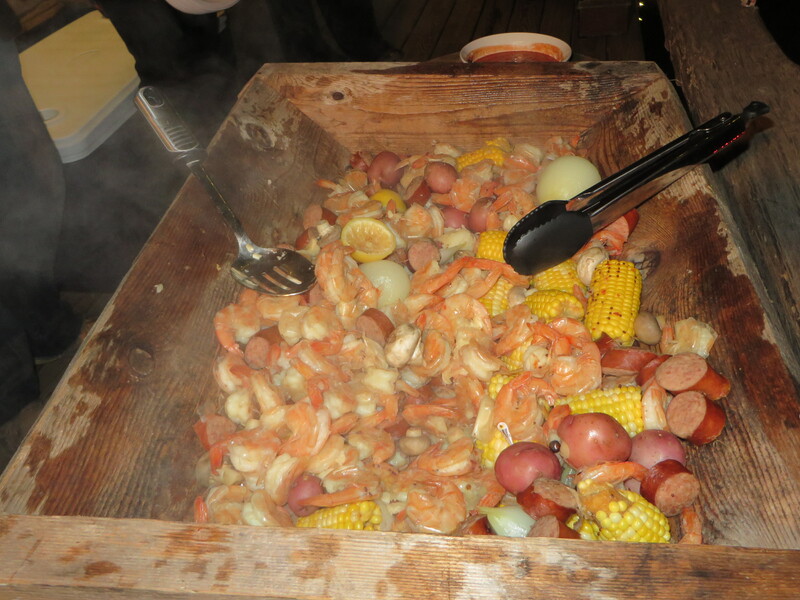 The range of cuisine includes everything from German and Tex-Mex to Italian, BBQ and Asian fusion. For fine dining, try the acclaimed Farm Haus Bistro at the Fredericksburg Herb Farm or the much-lauded Navajo Grill. And for memorable pizza, opt for the West End Pizza Company. To satisfy your sweet tooth, make sure you save room for Clear River Pecan Company’s award-winning homemade ice cream. The best beer in town can be found at Fredericksburg Brewing Co., which offers five excellent beers on tap, plus seasonal brews, along with a variety of freshly prepared foods. It’s the oldest brewpub in Texas and sits in two restored 1890s buildings. On the second floor are “Bed & Brew” facilities, which consist of twelve rooms, each decorated in a different theme. 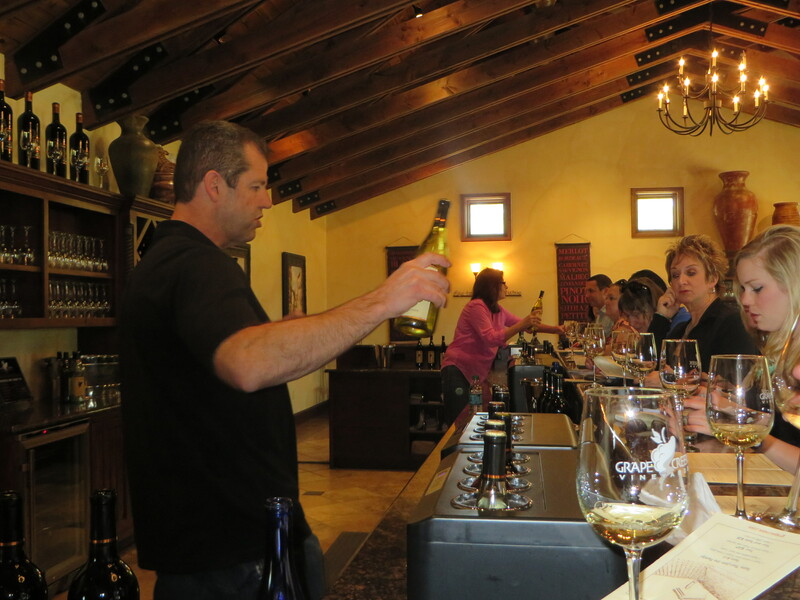 Those who prefer wine as their libation will quickly discover that Fredericksburg is a wine lover’s paradise. In fact, the town was recently listed as a top ten wine destination in the world by Wine Enthusiast. The Fredericksburg Wine Road 290 is an association of eleven Texas wineries plus affiliates that are located minutes apart along US Highway 290. You can take a self-guided driving tour, visiting several of the establishments in a day, while enjoying the panoramic beauty and diverse landscape of the area. The wine, ambiance and experience at each winery is unique with picturesque vineyards, charming tasting rooms and barrel cellars filled with aging, premium wines that showcase the distinctive Texas terroir. At Grape Creek Vineyards, for example, there’s a feel of “Tuscany in Texas,” with its Italian villa tasting room and “Trattoria” grounds where you can enjoy wine and picnic goods from the onsite Italian market. Nearby is Torre di Pietra Vineyards, which is operated by the Maxwells, fourth and fifth generation Texans whose family has been making wine for over 100 years. Chocoholics will be excited to learn that the owners have recently added chocolates infused with their wines to their offerings. Another winery, 4.0 Cellars, is a collaboration of three separate establishments (Brennan Vineyards, Lost Oak and McPherson Cellars) that came together to form a fourth winery. The building’s sleek, modern design provides the perfect backdrop to taste and learn about all that’s new in Texas’ wine scene. With all the eating and imbibing you’ll be doing during your stay, it’s nice to know that you can burn some of those calories biking, hiking or rock climbing in the Texas hills. Cyclists will be in heaven with the miles of scenic back roads and they’ll be in good company, as the sport is ϋber-popular in the region. 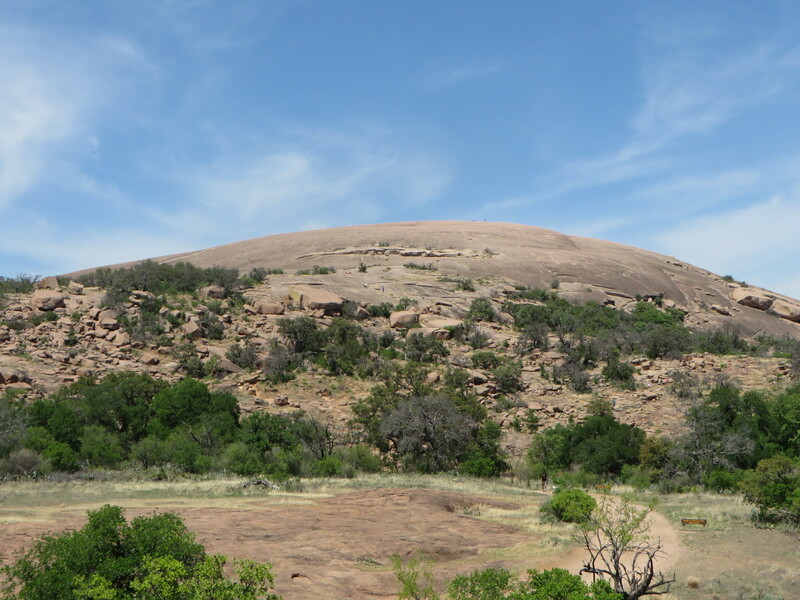 For hikers and rock climbers, check out Enchanted Rock State Natural Area, a geological treasure that serves as the gateway to West Texas. At an elevation of 1, 825 feet, the granite dome of “E-Rock,” as it is commonly known, commands attention. Surrounded by 640 pristine acres, the park is a magnet for those looking to get their nature fix. Several different trails are available for hikers of all skill levels with the most popular being the Summit Trail, leading to the top of the dome. The reward is a resplendent 360-degree view that offers a memorable Kodak moment, while the surprise is the unexpected sight of grass and trees growing on a relatively flat, rocky terrain. If you happen to be in Fredericksburg in spring, one of the Hill Country’s most glorious of seasons, you’ll be treated to fields carpeted with colorful wildflowers from Texas paintbrush and bluebonnets to red corn poppies and sunflowers. The area, which is defined by limestone cliffs, granite outcrops and hidden springs, provides diverse habitats for a myriad of these flowers. And if you simply can’t get enough of nature’s glorious bounty, head to Wildseed Farms, one of the largest working wildflower farms in the U.S., which just happens to be located in Fredericksburg. The place is a gardener’s delight and a photographer’s dream with more than 200 acres of fields that bloom from March through October. With over 400 different types of accommodations in Fredericksburg, you’ll have your pick of lodging. There’s everything from standard hotels to cozy B&Bs and historic guesthouses, many within walking distance to Main Street; others in idyllic, rural locales. Of special note is Magnolia House, a stately B&B built in 1923 that has been designated by the Texas Historical Commission for The Recorded Texas Historic Landmark. With its lovely landscaped grounds, well-appointed rooms and comfortable elegance, not to mention killer breakfasts, the place is a special in-town gem. Other recommendations include the Hanger Hotel, a unique boutique establishment adjacent to the county airport runway that has been designed in the style of a WWII hanger from the romantic 1940s; the Fredericksburg Herb Farm with its Sunday Haus Cottages and destination spa; and Barons CreekSide, a bucolic retreat on 26 acres complete with Swiss style log cabins and chalets – rustic romance at its best!